Toyota has set the standard for quality, reliability, and performance in the Auto Industry. From our award winning Camry, fuel efficient Prius, and the sporty FJ Cruiser; feel free to compare our cars, trucks, and SUVs to the competition. 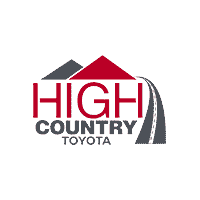 When you are ready, come to High Country Toyota and test drive our family friendly Sienna or the rugged Tundra. See why Toyota has earned it reputation for Performance, Reliability, and Quality.